Taking advantage of his presence in Los Angeles, the second stop on Barça's 2018 summer tour, Club president Josep Maria Bartomeu conceded interviews to several American media outlets. 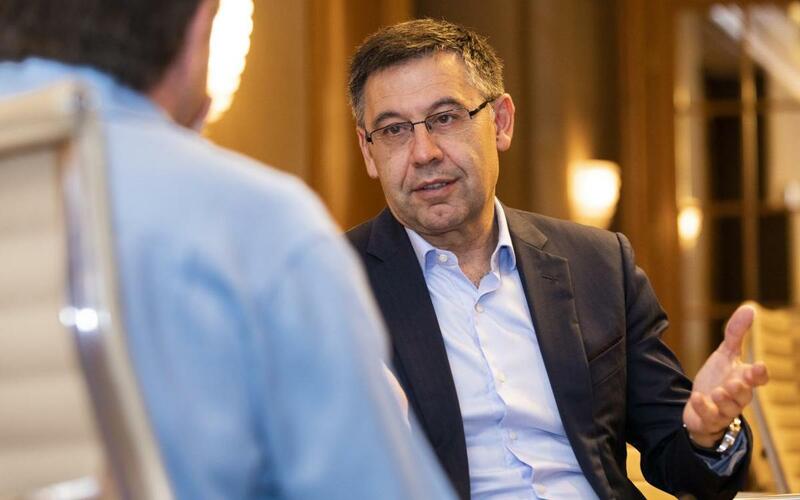 The LA Times, one of the largest newspapers in the United States, as well as other prestigious outlets like Univision, FOX Sports, ESPN, and The Hollywood Reporter, spoke to Bartomeu, who addressed issues such as the strategic importance of Los Angeles for the expansion of FC Barcelona in the United States, the work of the Barça Foundation (which is now active in 53 countries), the Barça Academy projects, and even the current state of affairs of La Liga, the domestic competition that Barça has won seven times in the last 10 years. Bartomeu also commented on the first team, as well as the Club's lower category teams, one of which recently won the UEFA Youth League.